Universal’s epic Mortal Engines is poised for release on December 14 this year. The film boasts an impressive cast including Hugo Weaving, Robert Sheenan, Stephen Land and Hera Hilmar, and marks the directorial debut of Christian Rivers. That’s not to say Rivers is a newcomer; he’s been in the industry for years. Rivers began his career in 1992 on the Peter Jackson directed horror film Dead Alive. Since then, Rivers has worked on almost every Jackson film, including The Lord of the Rings trilogy. The Oscar-winner is supporting Rivers on this movie, lending his name to the film. Jackson himself penned the screenplay for Mortal Engines. The film adapts Philip Reeve’s young adult book series of the same name, which first hit shelves in 2001. 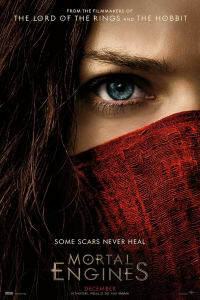 The series, which is commonly referred to as the Mortal Engines Quartet, takes place in a post-apocalyptic London. The source material is dense. That’s not a bad thing, but it does mean that the film will have a lot of ground to cover. It also means that audiences can immerse themselves into a new and fascinating world. In preparation for the film, we’re going to break down the basic concepts, story and characters from Mortal Engines, starting with the world in which the story takes place. 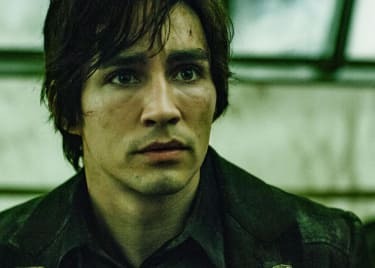 The events of Mortal Engines take place millennia after the “Sixty Minute War.” The books don’t say much about the war, but we know that it was an extremely brief conflict between the American Empire and Greater China. The war was devastating, and damaged the Earth beyond repair. Earthquakes, volcanoes and other natural disasters raged for thousands of years. In order to survive, mankind has created giant mobile cities, dubbed “Traction Cities.” These roam the wasteland and are able to dismantle other cities for resources. This act is often referred to as “devouring” or “eating”, but it’s wholly mechanical in nature. The practice of dismantling cities for resources is called “Municipal Darwinism.” Each Traction City operates individually of one another, and since resources have become scarce, larger cities often attack and devour smaller ones. The Traction City technology was developed by Nikola Quercus in London; however, it quickly spread to other cities. Since the dawn of Municipal Darwinism, technological advances have halted, and London has reverted to a Victorian-style society. 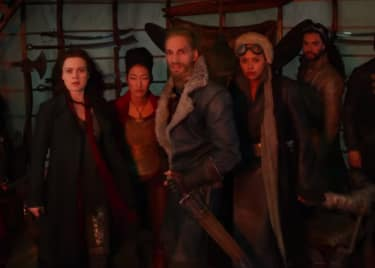 This gives the world a steampunk aesthetic, which is prevalent throughout the Mortal Engines Quartet. London was the first Traction City and is by far the largest. The city has its own unique government headed by an elected mayor; the real power, however, is held by four guilds. The two most prominent guilds are the Guild of Historians and the Guild of Engineers. The engineers keep London’s engines up and running. The Historians find, collect and re-purpose older tech that can be used to fix or improve the city’s engines. Traction Cities exist all over Europe, the Arctic, parts of Asia and Northern Africa. Remote parts of Asia and of Africa remain untouched empty. North America was war-ravaged to the point where it has become a dead zone. An organization called the “Anti-Traction League” has risen up in the untouched parts of the world. Their chief goal, as their name suggests, is to stop the Traction Cities from destroying what’s left of the Earth’s resources. Reeve created a massive world filled with unique people, with the most prominent for readers being Tom Natsworthy and Hester Shaw. In the film, Tom will be played by Robert Sheehan (Misfits) and Hester will be played by Hera Hilmar (Da Vinci’s Demons). The books antagonist, Thaddeus Valentine, will be played by Hugo Weaving. Based on the film’s synopsis, it appears that very few changes have been made to the characters from the source material. In the first book, Tom is introduced as an Apprentice Historian studying under the Guild of Historians. Tom is an orphan, who was adopted by the Guild when he was very young. For the most part, Tom is extremely loyal to the Guild and the government of greater London. In many ways, he is relatively naive, but throughout the course of his journey, Tom begins to see the world for what it is. He is brave and possesses a strong sense of justice. He is also the moral anchor that helps keep Hester Shaw grounded. Hester Shaw was born in an area of the English countryside where Traction Cities don’t exist. She was raised as an “Anti-Tractionist”, but she became radicalized when the Thaddeus Valentine killed her parents when she was 7. In the wake of this tragedy, Hester became an assassin in service of the Anti-Traction League. She has scars on her face which she sustained from Thaddeus when he killed her parents. Hester Shaw is physically and mentally strong, and she aslo serves as the driving force behind the plot. She is an extremely capable fighter, but she also quite adept at fixing and dismantling Traction City engines. Thaddeus Valentine is the head of the Guild of Historians in the Traction City of London. He has a daughter, Katherine Valentine, whom Tom Natsworthy is infatuated with. Thaddeus is the main villain in the first book and he is ruthless. He’s not really a physical threat per se, but his power comes from his position and wealth. Over the course of the first book, it’s revealed that Valentine has left a trail of bodies in his rise to power. Valentine is a corrupt figure and he’s obsessed with an ancient weapon named MEDUSA. The filmmakers may have altered the plot for the adaptation of Mortal Engines, but core concepts will likely remain intact. The first book revolves around Tom and Hester, who meet under unlikely circumstances. 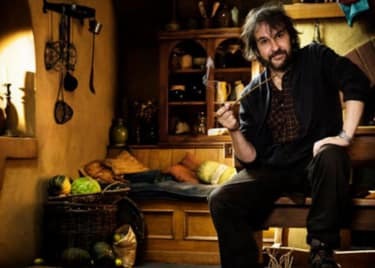 While out and about in the dregs of London (referred to as the “Gut”), Tom meets the leader of the Guild of Historians, Thaddeus Valentine, and his daughter Katherine. During their interaction, young Hester Shaw attempts to assassinate Valentine, but she is thwarted by Tom. Hester escapes the city through a chute, but Valentine doesn’t want the assassination attempt to become public knowledge. So Valentine pushes Tom off the edge of the city. Tom survives the fall and he begrudgingly joins forces with Hester. The two then set out on a mission to make it back to London. They board a smaller city and then hop from city to city, getting into various scrapes and adventures. Hester reveals the truth of the world to Tom, which includes Thaddeus’s past and his obsession the mysterious weapon, MEDUSA. As the mystery unfolds, the stakes grow higher and the fate of the world hangs in the balance. See Mortal Engines when it hits theaters on December 14, 2018.